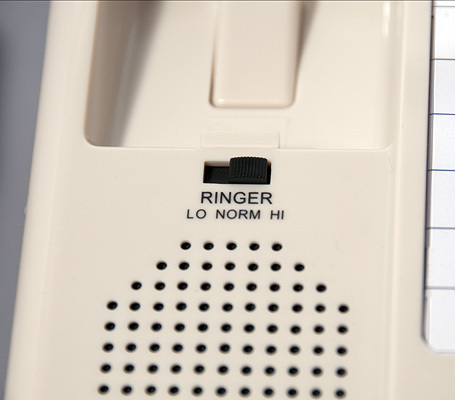 The D6SP is Inn-Phone®’s most popular low cost speakerphone option for hospitality applications. 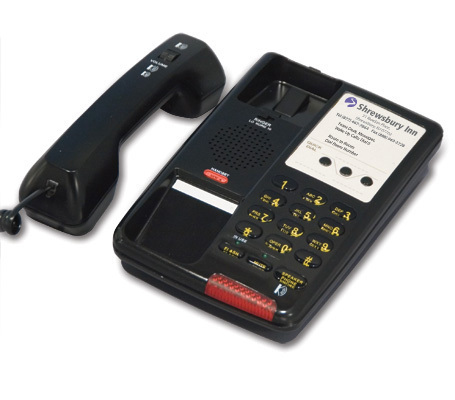 The D6SP is designed for longevity with a ruggedized design and a Heavy Base. 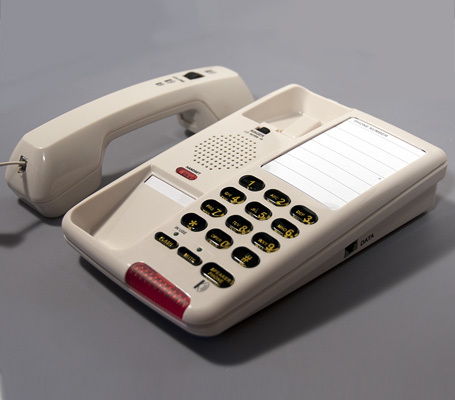 The Heavy Base design helps minimize breakage as compared with lighter phones that can more easily be dragged from desks and nightstands resulting in breakage and more frequent replacement. 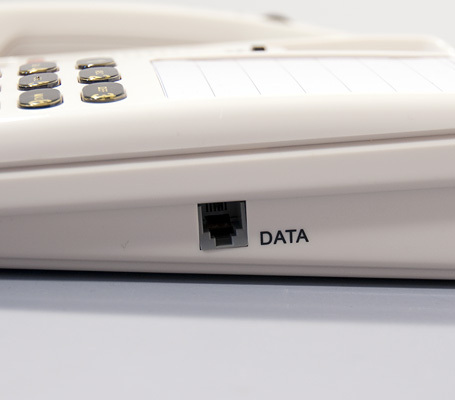 The D6SP, like all Inn-Phone hotel products, comes with free customized face plates (minimum order applies) and face plates can be completed and shipped in less than 24 hours after design approval. 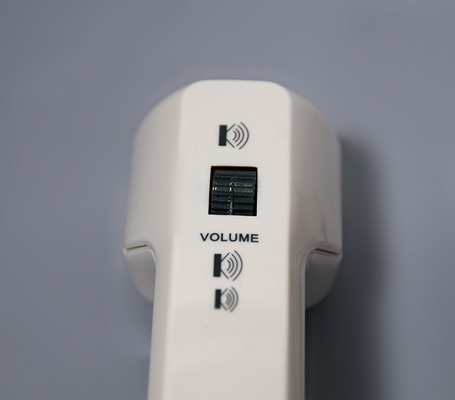 The D6SP meets hospitality room telephone standards for most economy, limited service and full service hotel brands and exceeds ADA requirements for volume boost for hearing impaired guests. 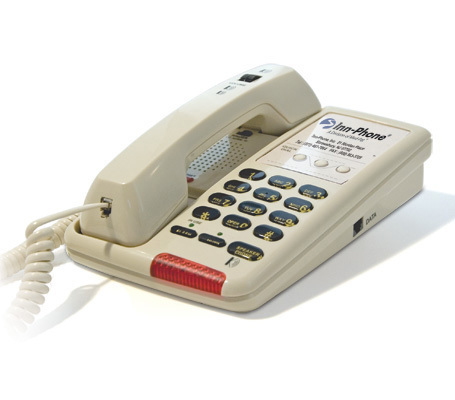 In addition, the D6SP is available with optional three programmable service/speed dial buttons, the D6SP-3, for added convenience and ease of use for guests. 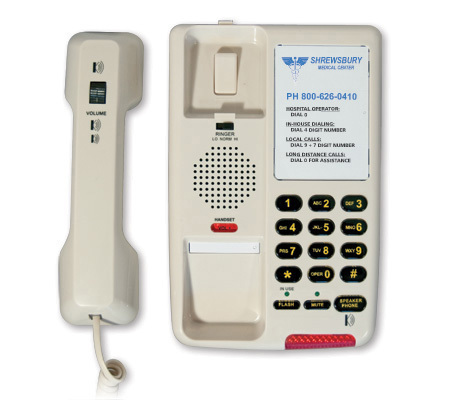 The D6SP is the best choice for a low cost, reliable room telephone solution when a speakerphone option is desired.